Wrap up something delicious this holiday season. We all have those friends and family, the ones that are always raving about the newest restaurant or creating their own chocolate cookie recipe. 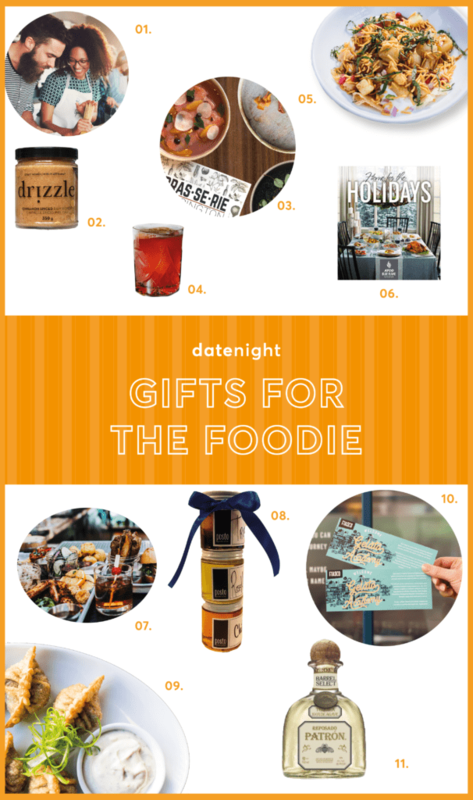 Make gift giving easy this year with these perfect gifts and favourite local restaurants for every foodie. Maybe you’ll even get to benefit from the gift with a dinner invitation in the New Year. 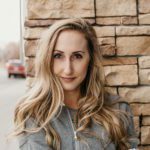 We all tend to feel extra heavy and bloated after the holidays and that’s where the dietitians at Shift Nutrition comes in to get you back on track and working towards a healthier, more sustainable lifestyle. Give it as a single session or get in on the gift yourself with couples nutrition counselling. Drizzle is a completely raw, bee-friendly, and supports Canadian beekeepers too! From the Cinnamon Spiced Raw Honey to the classic White Raw Honey, a jar of Drizzle is the perfect gift for that person on your list who has everything. Amuse the food lover on your list with a 5-course chef bar experience including cocktail + wine pairings. Experience includes the option to sit at the kitchen bar so you can interact with the chefs and watch the action while you enjoy locally and seasonally inspired chef creations. For the cocktail lover, these classes will delve into the rich history of cocktails and the base spirits that comprise them. Students learn how to create impressive cocktails that can be shared later with friends and family. Check the schedule for open class times. Hands down the coolest decor, this fun & lively Indian restaurant and bar draws inspiration from the cosmopolitan nature and cuisine of West Bengal. Whether they’re down for brunch or dinner, they’ll be in naan heaven. Whether you’re buying for an aspiring cook or a veteran in the kitchen, this cookbook is filled with delicious meals that everyone will love. Give the gift of BBQ classics + smoked delights, picnic lunches, brown booze, live blues + finger lickin’ fun. Everyone on your list (including your vegan friends) will love what Belle has to offer. How about a BBQ + Blues Date Night? Half price whiskey every day, and live local talent from 8-11pm every weekend. Posto Pizzeria and Bar, a lively local eatery on 8th street SW serving small plates, award winning pizza, craft beer and great wine! These delicious Chilli Oil, Rosemary Oil, and Truffle Honey are perfect for the pizza lover in your life. Is there anything better in life than gelato? Especially when it comes in Classic Eggnog flavour. Make your gift a little sweeter with a pint of freshly made gelato. Put up your hand if you love tequila. Same. You can’t go wrong with gifting the limited edition tequila made exclusively for Añejo & Blanco (the two best spots for tacos, margaritas and guac in the city) Enjoy their barrel select Patrón tequila products for ½ price, everyday from 3-5pm and 9pm-close!